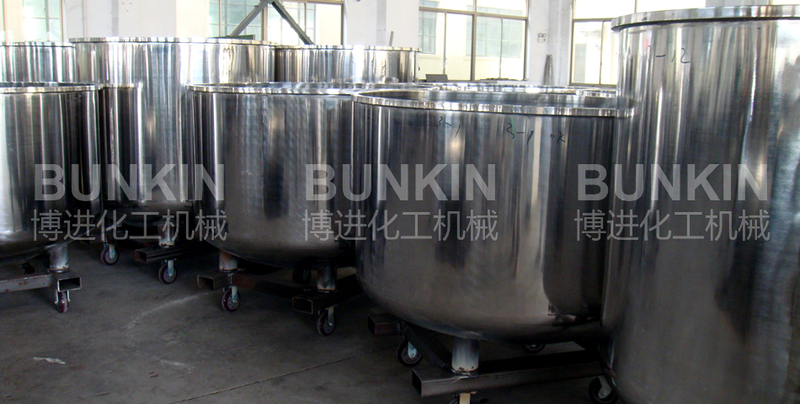 Movable Production Tank_Anhui Bunkin Chemical Machinery Co.,LTD. 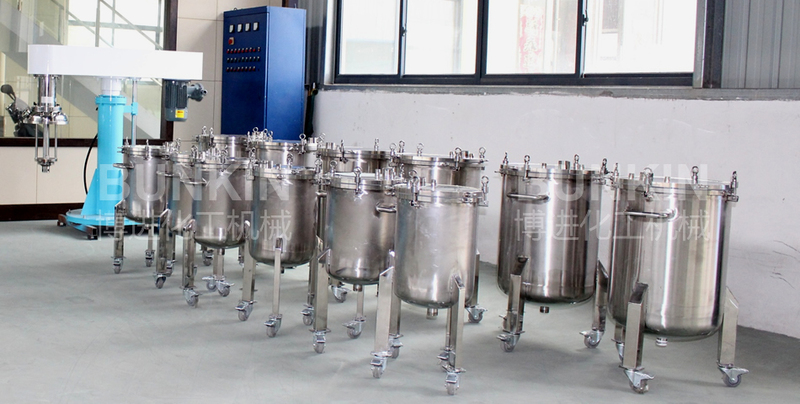 Movable tank, mainly used for small scale production mixing or storing. 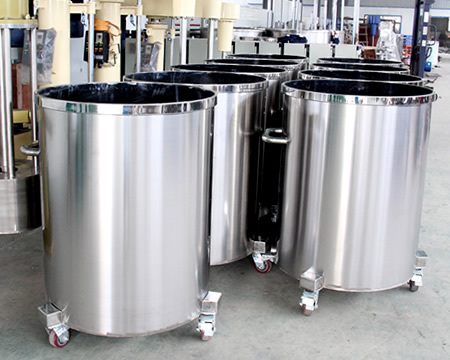 The tank adopts high quality stainless steel, argon-arc welding whose seam has been nicely treated; mirror polished inside and outside, easy to clean; also, the tank bottom is with inclination angle ensures clean discharging and no residue. 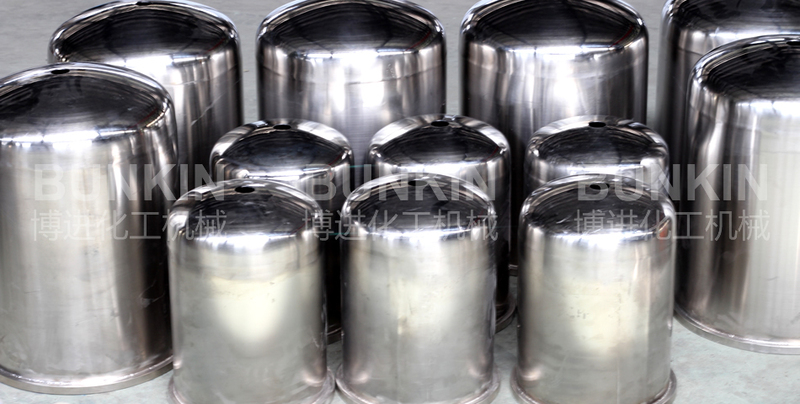 It used in different industry, customized according to client��s requirements, variety of models for option. 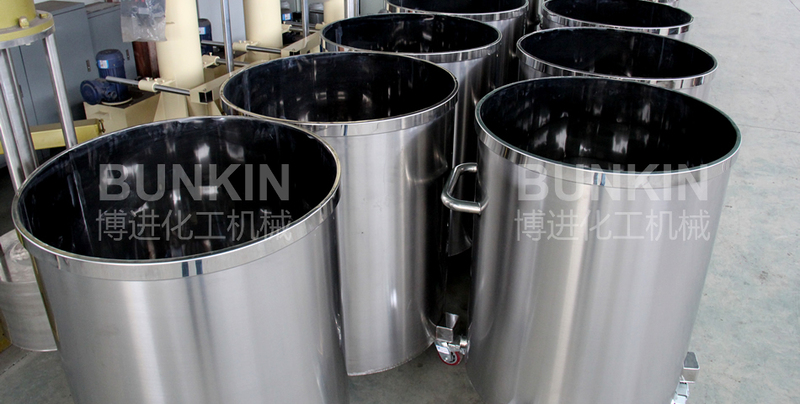 According to layer numbers�� Single-layer tank, normal double-layer tank, double-layer tank with electrical heating pins, double-layer tank with thermal insulation layer.